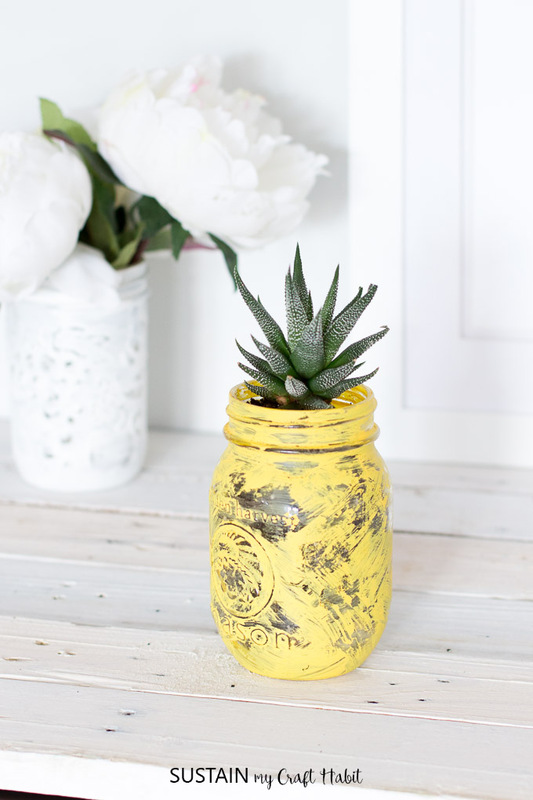 Hop on the pineapple trend by making a fun little succulent planter with a mason jar and some paint! 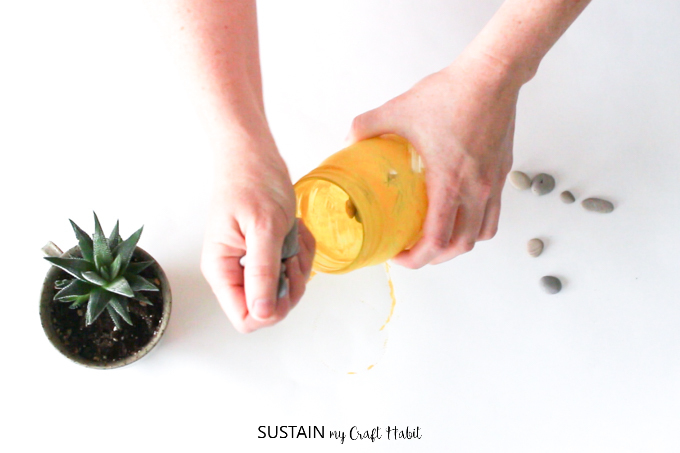 When Crystal over at The Weather Fox came up with the idea of an entire week devoted to pineapple DIYs, we had to jump on board. Not only do we love to eat them, but there’s something about that pineapple shape that screams summertime fun! 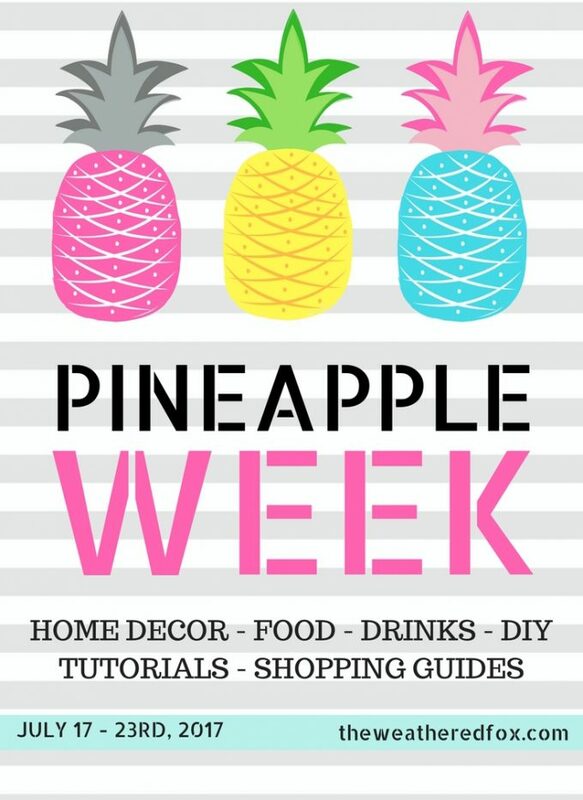 Today’s Pineapple Blog Hop is the kick-off to a whole week filled with pineapple themed home decor, recipes, drinks, DIY tutorials, shopping guides, and free printables. 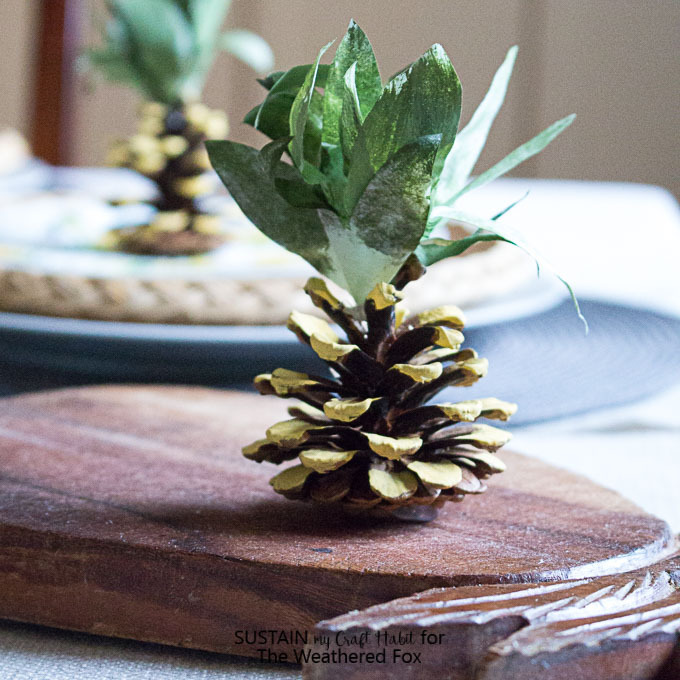 On Wednesday, you’ll be able to find this fun pineapple party idea of ours. 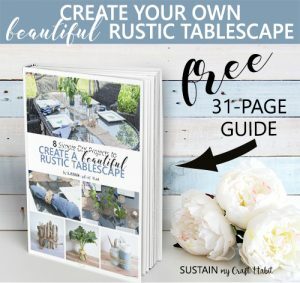 Be sure to scroll to the bottom and check out all the other creative pineapple ideas in today’s Blog Hop with over a dozen DIY bloggers from all over the world. 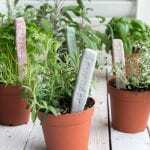 Thoroughtly clean the glass jar and remove any labels. 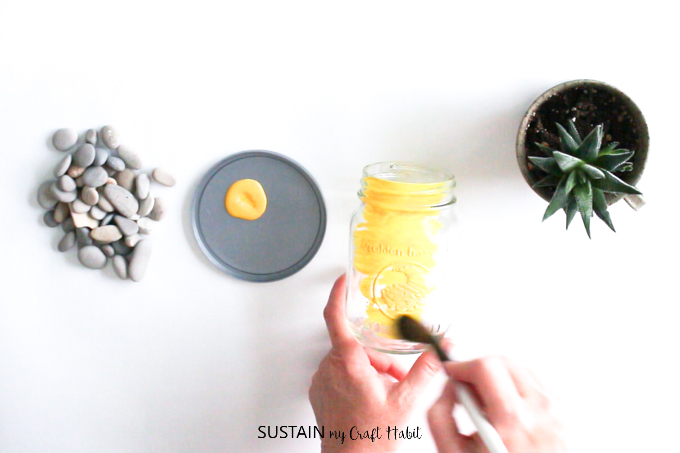 Paint the outer surface of the jar with yellow paint. 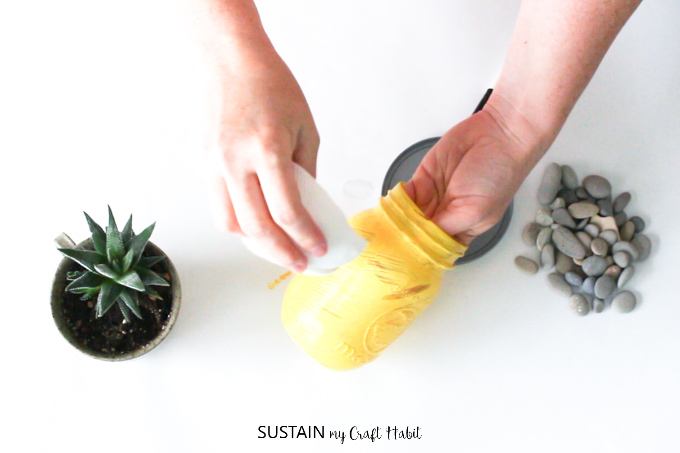 While the paint is still wet, wipe some of it away in random areas such as the raised edges to give the jar a distressed look. Let it dry completely. 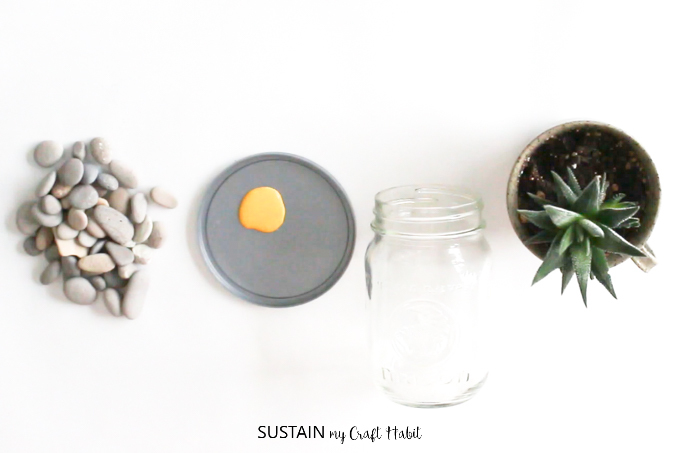 Place a few small pebbles or stones in the bottom of the glass jar for a bit of drainage. 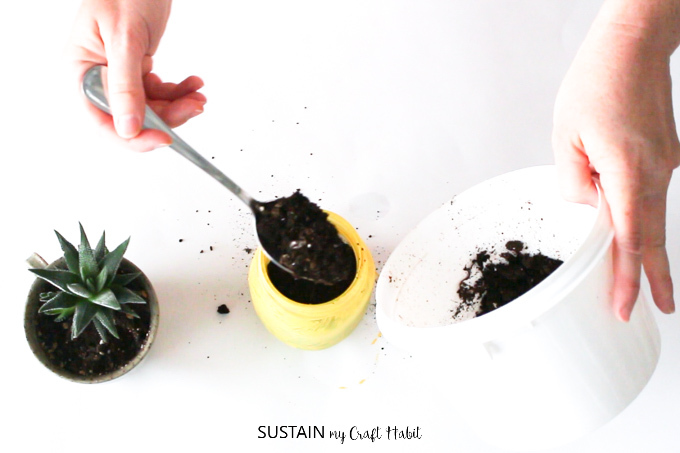 Fill the jar with the potting soil. 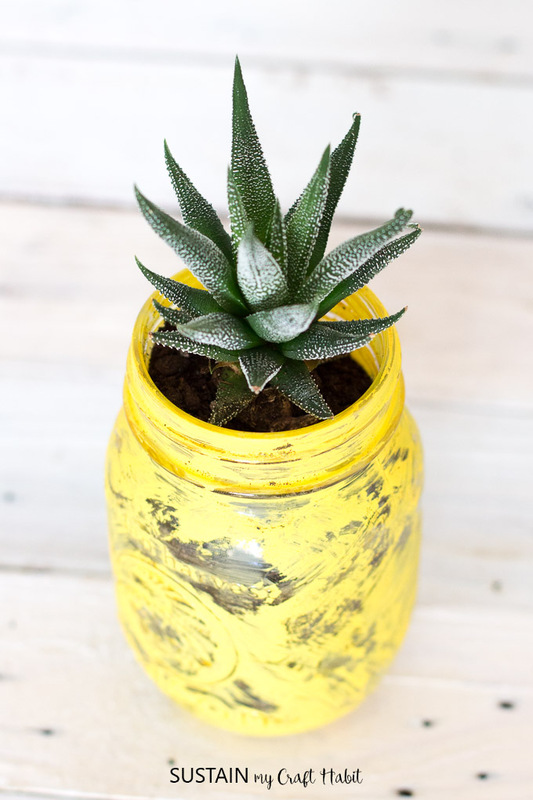 Plant the zebra succulent into the top of the jar, making sure it sticks out like the crown leaves of a pineapple. Enjoy! 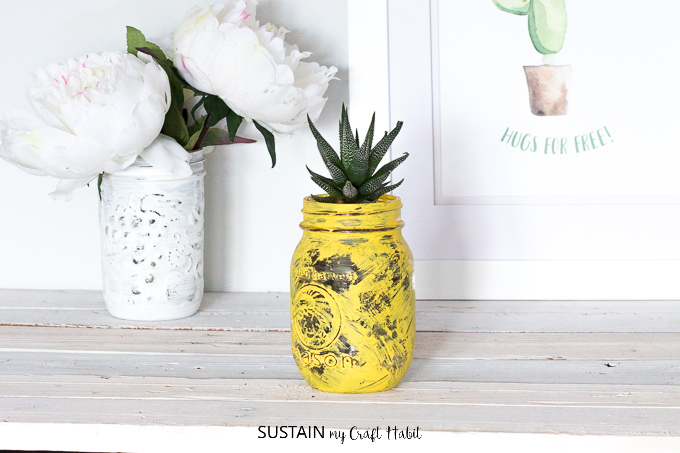 I think this little mason jar craft makes such a fun and cheery succulent planter. It’ll look even better as the succulent grows larger. 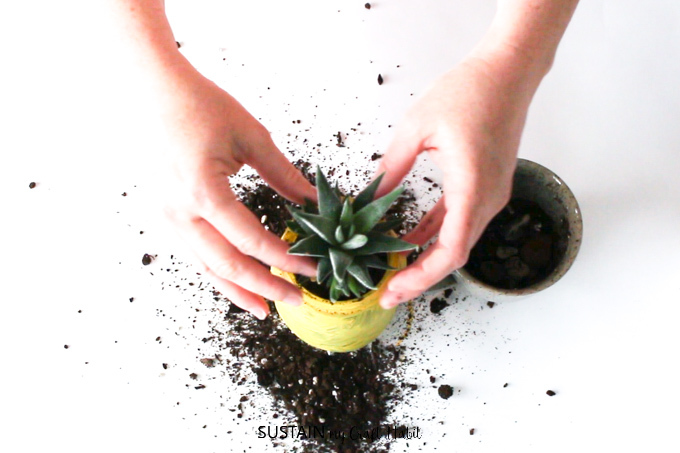 I think next time I’d use a slightly smaller jar to make the succulent really stand out! Be sure to grab the adorable “Hugs for Free” cactus wall art printable as well. This one looks quite happy so far. Just remember to water it every now and then (don’t over-water). These guys would make an adorable party favour for a tropical or Hawaiian themed party. We also have a free ocean creatures printable which you could use to create gift tags or use as colouring pages for a tropical themed birthday party. Well how cute is this! 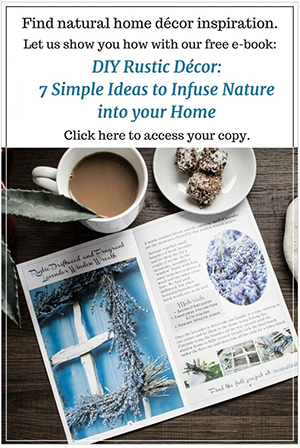 A great way to use a mason jar too. 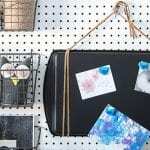 Cute and simple — my kind of craft!! So cute! And looks so easy. 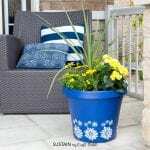 My only problem is I would forget to water the plant, so I’d have to use the jar for something else! 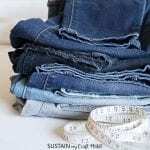 That’s such a great idea! I presume they put yummy treats in the jars? Thanks so much for stopping by.